Here you will find guidelines on how to be an environmentally responsible homeowner. As a community, we need to help preserve beneficial ecosystem services provided by our waterways, wetlands, forests, and other natural areas. Our health, economy, and recreation depend on it. If you would like to arrange a demonstration, workshop, or seminar on water quality, rain gardens, rainwater harvesting, etc., contact our Natural Resources Agent. Stormwater runoff is rain that runs over hard surfaces, picks up pollutants on the ground, and flows into our waterbodies untreated. This source of pollution is a very real problem for Brunswick County. It leads to poor water quality that affects the health of people, plants, and animals. 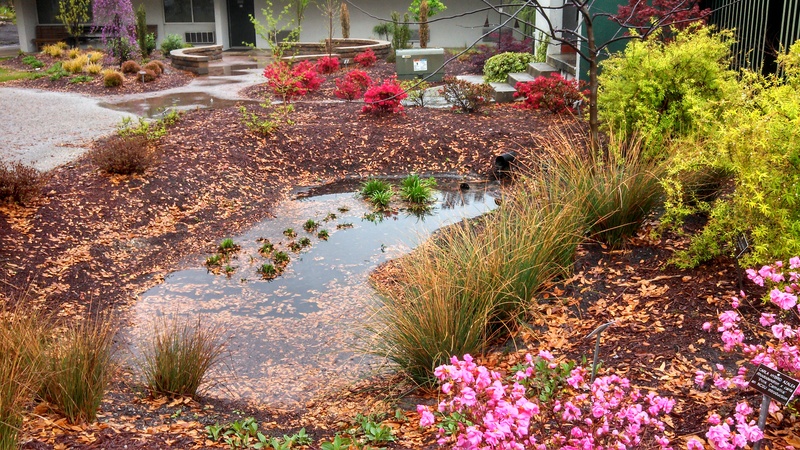 Rainscapes are landscape enhancements (or Best Management Practices or Stormwater Control Measures) that reduce potentially harmful stormwater runoff. Please peruse the water-related publications listed on this NCSU Bio&AG Engineering site to learn more about the various ways biological engineering is improving our water quality. The NCSU Stormwater Publications site lists more stormwater-specific publications that will be beneficial for homeowners, builders, and developers looking to improve local water quality. Building a Rain Garden Although they can be complex, a rain garden is basically a vegetated bowl, or depression, in your yard that captures rain water and allows it to soak into the ground rather than run off your property. They generally follow the 10/10 rule: they are sized at 10% of the watershed flowing to them and are deep enough to hold 10 inches of rainwater. The link above will take you to a website that will explain everything you need to know about creating a rain garden of your own. The Backyard Rain Garden Manual is a condensed, printable version of the above website. It will guide you through planning, installing, and maintaining a basic rain garden. 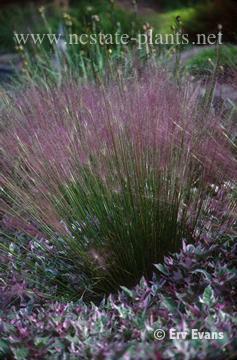 Native Plants for Yards & Rain Gardens This is a list of plants that love the conditions of our Carolina coast: sometimes really dry and sometimes really wet. These plants are not only great to use in rain gardens but, depending on site conditions, can be used throughout your yard. 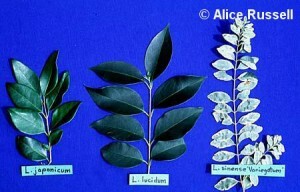 Also, all of these plants are native! 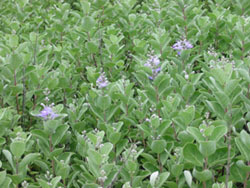 Beach Vitex has a purple bloom in the summer. Native Plants for Coastal North Carolina Landscapes is a beautiful brochure filled with information on a variety of vegetation that thrives on our coast. Visit NCSU’s Going Native website to learn about native and invasive plants as well as where to purchase native plants. The site also offers resources to help you plan your native garden! The NC Native Plant Society is another informative website about native plants. They aim to promote the enjoyment and conservation of North Carolina’s native plants and their habitats through education, protection, propagation, and advocacy. There are many great recommendations here! Most invasive species came from far-away habitats. Our native plants did not develop defenses for these exotic species. Without natural checks, an exotic species can invade the native habitat, crowd out native plants, and reduce the diversity of foods available to birds and other wildlife. 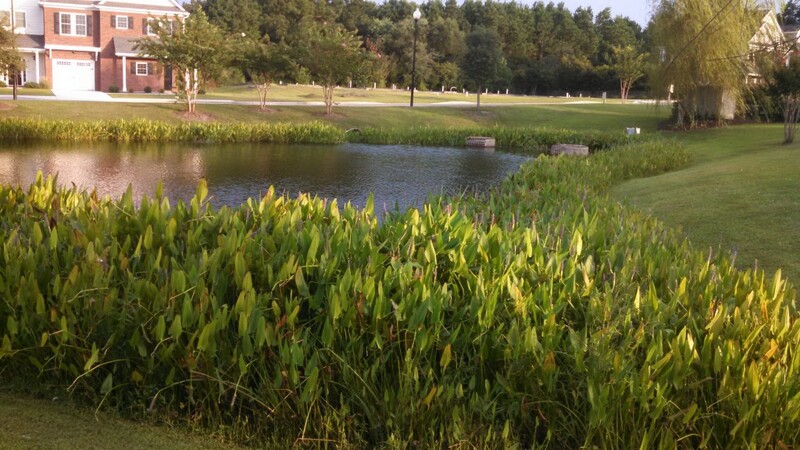 Ponds and wetlands – stormwater and otherwise – pepper our landscape as they hold excess rainwater and provide habitat for plants and critters that add to the biodiversity of the Cape Fear Region. The health of these aquatic areas is greatly affected by development and human actions. Below are some resources that will help keep these resources vibrant. 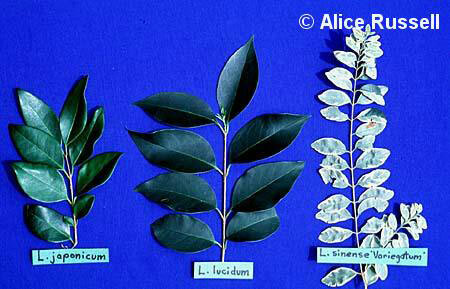 A robust vegetative buffer improves water quality and can be quite attractive. The Sea Grant Wet Pond Fact Sheet 2013 is an easy-to-read document that describes a few ways to keep stormwater ponds healthy. To supplement the fact sheet above, Plants for Ponds and Plants for Backyard Wetlands are great lists of aquatic (and nearly aquatic) plants that will add beauty, erosion control, habitat, and nutrient management to ponds and wetlands. The NC Pond Management Guide provides 30 pages of information on how to successfully manage a pond for general water quality and healthy fish populations. Small Pond Weed Management provides a good, quick overview of various methods of aquatic weed control, including information on the use of grass carp and herbicides. Stormwater Pond and Wetland Maintenance explains why and how these stormwater practices must be kept in proper working order to maintain their intended functions and aesthetic appeal. Visit the Southern Regional Aquaculture Center website for numerous fact sheets, mostly aquacultural, that may be helpful. Stormwater Wetlands for Golf Courses, Wetland Ecosystem Services, and Wetlands and Water Quality explain the benefits and some logistics of natural and stormwater wetlands. Please visit the NCSU Stormwater Publications site for more information on specific stormwater control measures. Rainwater Harvesting for Homeowners is a great overview for homeowners interested in capturing rain with rain barrels or cisterns. NCSU Composting Guide explains managing organic yard wastes. Simple Ways to Protect Our Resources Growing populations led to the agricultural and industrial revolutions. “We are now in the throes of the third revolution. This time the spur is not resource shortage, but the impact of waste and wasting.” – Paul Harrison, The Third Revolution. Little personal changes can make a huge difference for our natural resources. Click the link above for a list of many easy changes you can make today.